Hong Leong Yamaha Motor Sdn. Bhd. (HLYM)(Co. no:46829-P), a company incorporated in Malaysia in 1979, is a joint venture between Hong Leong Industries Bhd and Yamaha Motor Co., Ltd , Japan. Hong Leong Industries Bhd., holds majority equity interest in HLYM, is part of a well diversified conglomerate, Hong Leong Group of Companies, Malaysia. 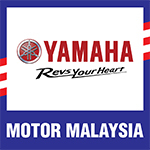 HLYM was appointed official franchise holder for CKD and CBU Yamaha motorcycles and ATVs in Malaysia since 1978. It rolled out its first CKD Yamaha street model, RX100 at the Shah Alam plant in 1979. HLYM increased its model range with the introduction of the Y80, DX 100 and the DT125 with the production output of 3500 units per month. 1988 witnessed the rollout of the 500,000th local assembled Yamaha motorcycle in grand fanfare. 1994 saw the historical rollout of the 1,000,000 Yamaha motorcycle in Malaysia. A commendable achievement for HLYM. 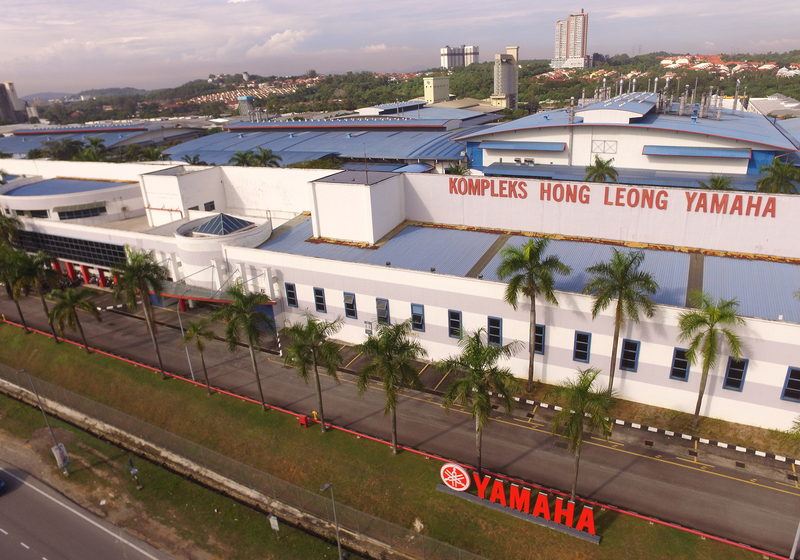 1997, HLYM relocated to its current 36 acres Hong Leong Yamaha Complex which housed its main office block, a R&D Centre with 4 factories engaging in press & welding of metal parts, spray painting, assembly operations, plastic injection moulding and a warehouse for storage. Most of the CKD bike engines were locally supplied by Hicom Yamaha Motor Manufacturing Sdn Bhd. By 2018 HLYM rolled out its 4 millionth Yamaha motorcycle, a testament to its commitment to produce premium quality locally assembled Yamaha motorcycles in accordance to the stringent high quality standards set by Yamaha Motor Co. Ltd.
Hong Leong Yamaha Motor continues to invest in the upskilling of its employees, new technologies and equipment to improve its production capabilities. Excellence award certifications received by HLYM include the Total Productive Maintenance (TPM) Excellence 1st Category award from JIPM for the enhancement of quality, cost and delivery performance; the ISO 9002, ISO14001 (Environment Management System) from SGS Malaysia/SGS UK and MPC certification by the Malaysia Productivity Corporation. Automation robotic technology and Automated Guided vehicles have been incorporated to further enhance production quality and efficiency. The incorporation of automation technology allows for the flexibility and the speed to adjust capacity and models assembly in response to changing market demand. Hong Leong Yamaha Motor is committed to carry on powering the passions of avid motorcyclist to create exceptional value and lifestyle experiences to enrich the lives of its customers.